Simply Southern. 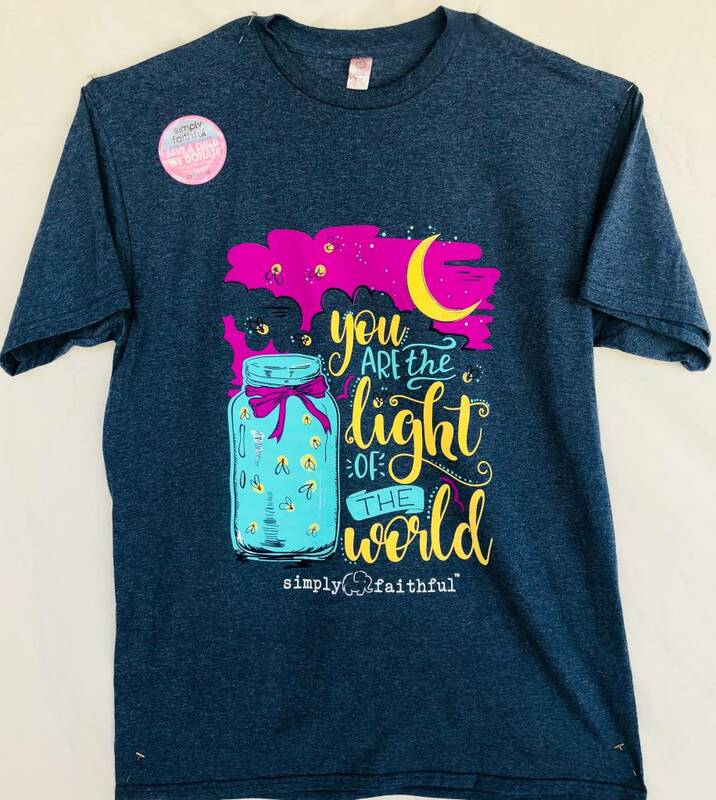 You are the Light of the World T-shirt in denim blue. 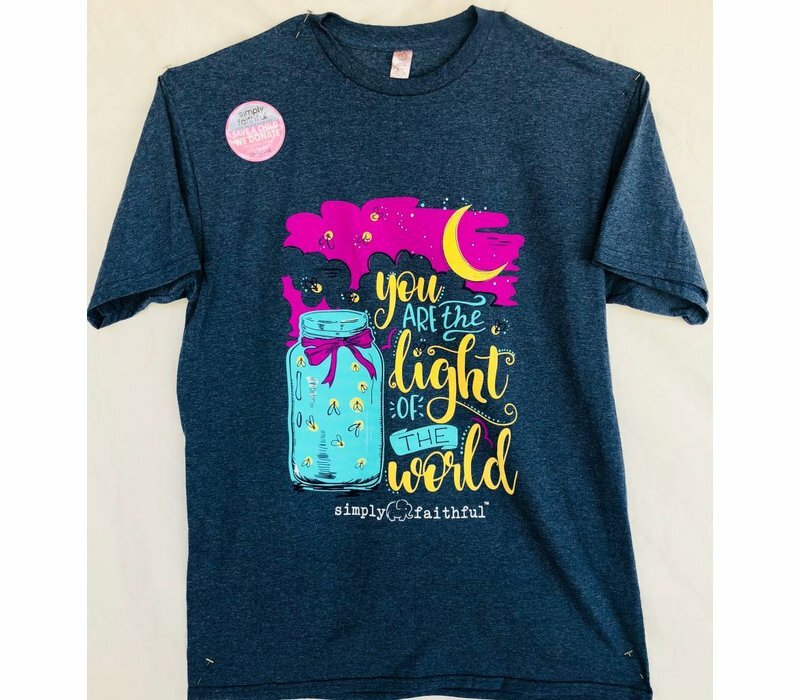 Jar with firefly on front.